I like the idea of putting your colorful dot along with some sparkle ones all over the door...clear top coat and you have a winnah! 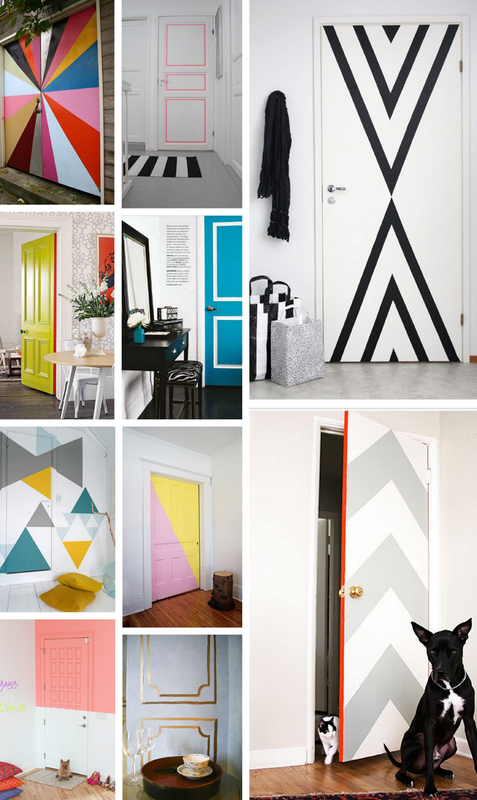 I love the big color block on the bottom left! I would totally do this if we owned our house (#rentersforlife). These are amaze, especially the last one! Love these! And oh, and an actual laundry room... One of the things I definitely miss living in a small European apartment! Washer goes in the kitchen and the drier, well, wherever it will fit (ours is tucked behind the bathroom door). I do hope you'll post some pictures once you're done, as I hope to live vicariously through your dedicated laundry space!